This winter the balloon sleeves are in the spotlight! Emma is in this trend and will accompany you all season. Actual size pattern from 34 to 48 (US/UK : from 2/6 to 16/20), category "Intermediate"
In this file, you will receive the pattern board in A4, US letter and A0 format (bilingual French/English) as well as the explanatory booklet (in French and in English). 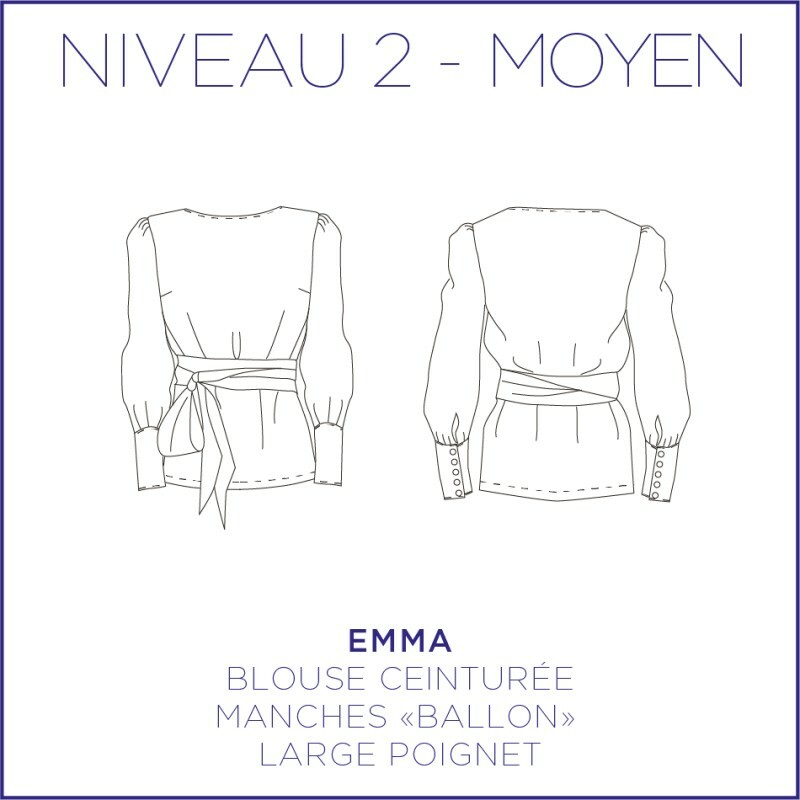 The Emma blouse is a blouse with balloon sleeves with a wide wrist. With its belted waist and round neckline, she is ultra feminine. Cotton, silk and viscose are ideal for making this model. The grey version was made in a viscose from Bennytex. 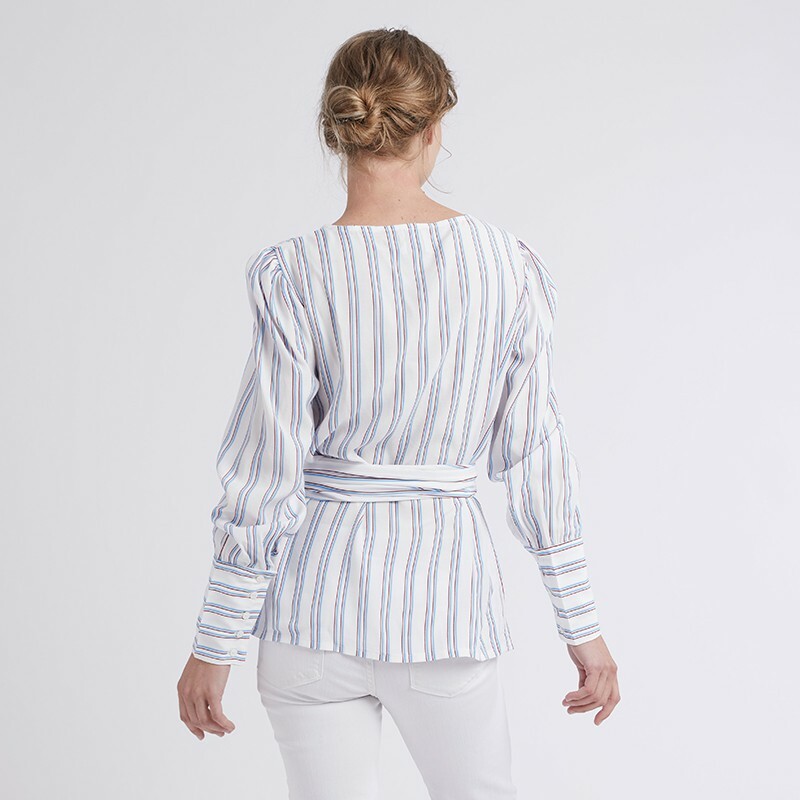 The red and blue striped white version was made in a viscose from Sacres coupons. 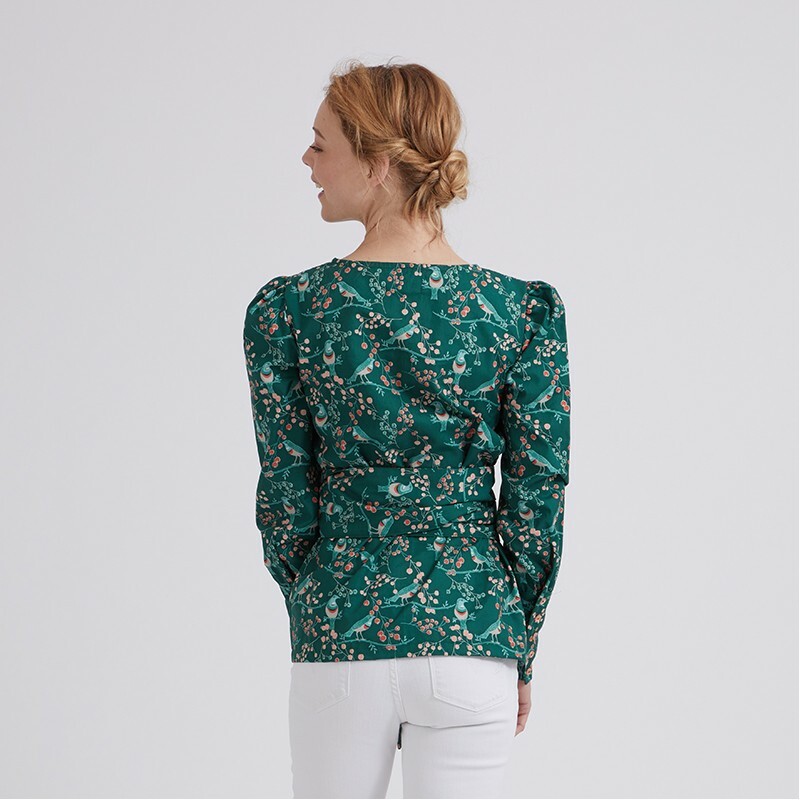 The green version was made in a viscose from Linna Morrata for Mondial tissus. The Purple version is a cotton veil from Sacrès coupons.